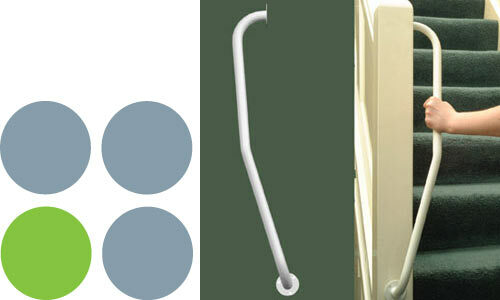 Reach for assistance with an indoor grab bar. Your home can be remodeled to meet your specific needs. Ask us about making your doorways more accessible. Ideal for use alongside stairs as it avoids the user having to release hand grip. The newel handrail is designed specifically for use indoors. • Available as both left and right handrails.